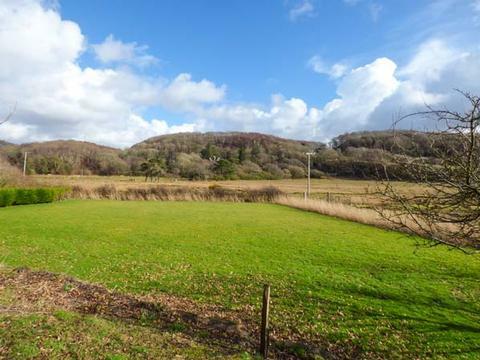 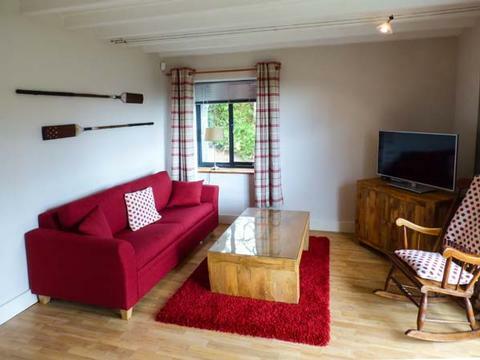 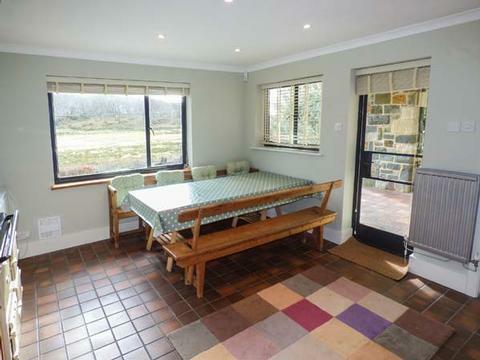 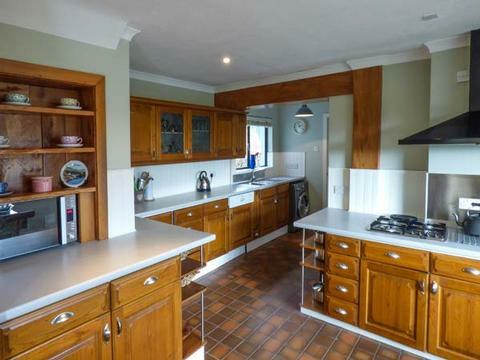 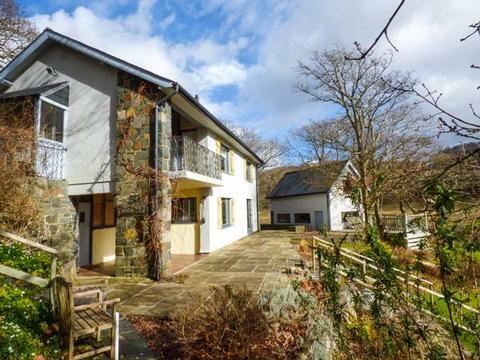 This wonderful, detached family holiday home is situated just five miles from Barmouth in North Wales, with four bedrooms and a sofa bed in a games room accommodating up to ten people. 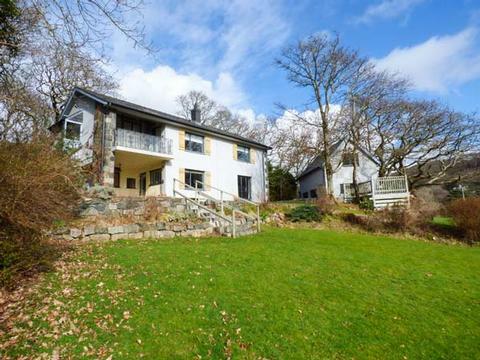 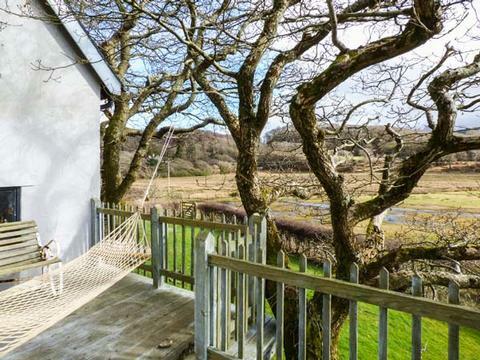 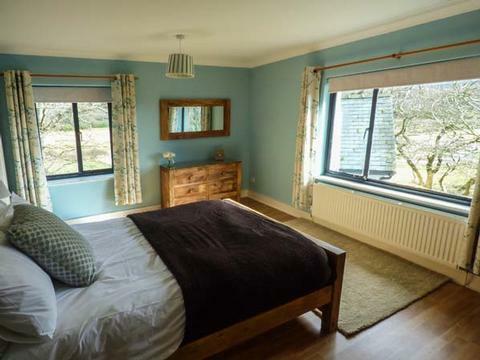 Gardd Ynys is a fabulous, detached holiday home situated in a wonderful, rural area of North Wales, just five miles from Barmouth, in the Snowdonia National Park. 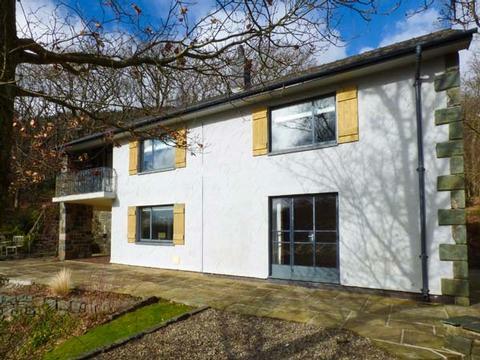 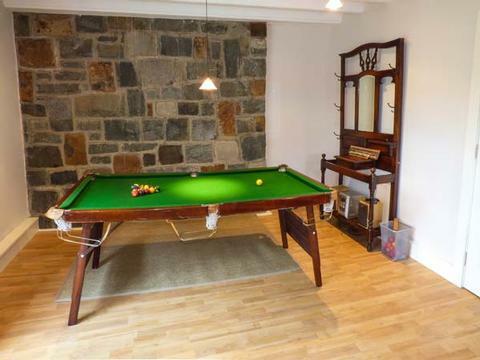 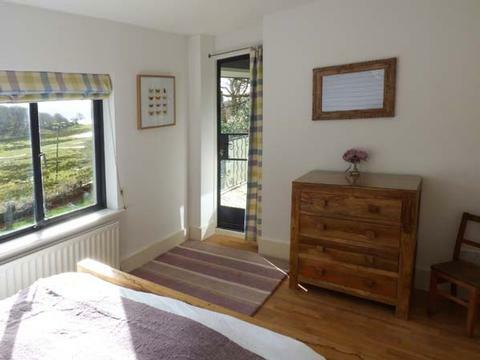 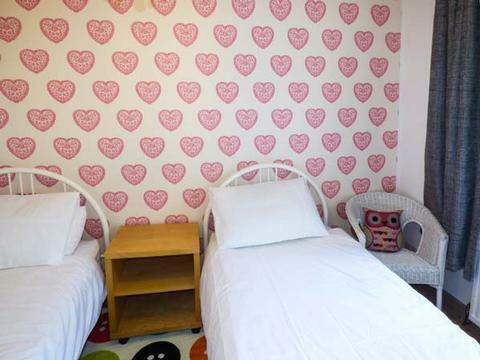 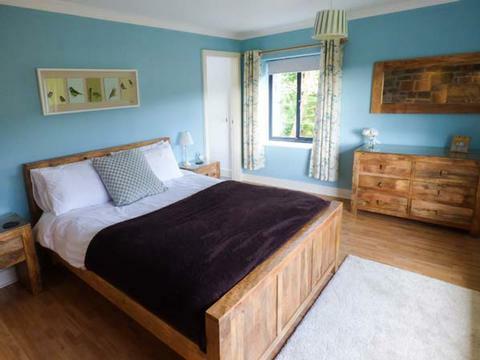 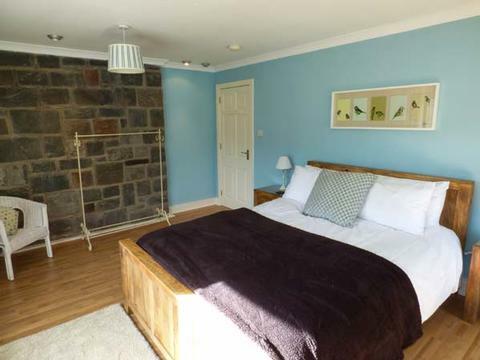 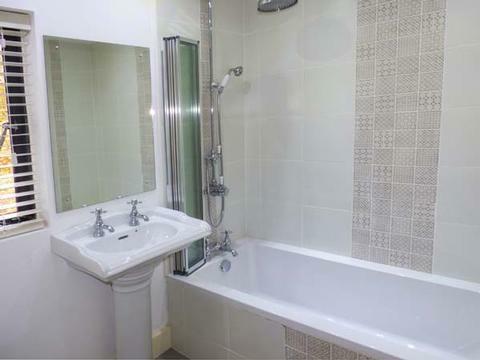 The property has four bedrooms, including two king-size double rooms, of which one has its own en-suite, two twin bedrooms, a family bathroom, plus a shower room and a double sofa bed in the ground floor games room. 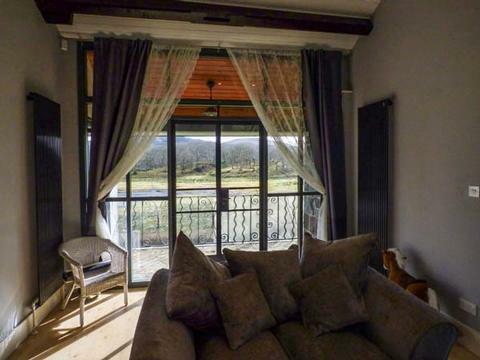 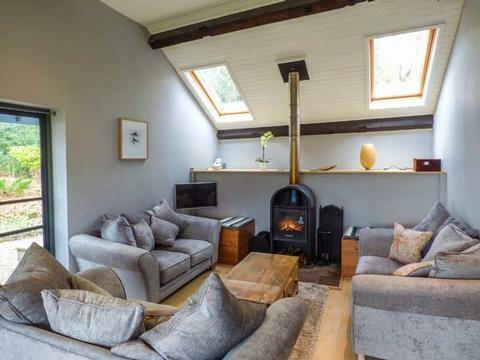 There is a large well-equipped fitted kitchen with a dining area and a comfortable first floor sitting room with exposed purlins, a woodburner and French windows opening onto a balcony. 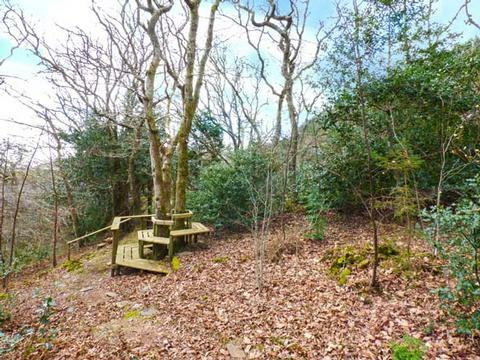 Outside, there is ample off road parking and plenty of exploring to be done in the formal garden with an empty pond filled with bushes, mature gardens with furniture, decking with a hammock where you can sit and read or enjoy a snooze, plus access to woodland pathways. 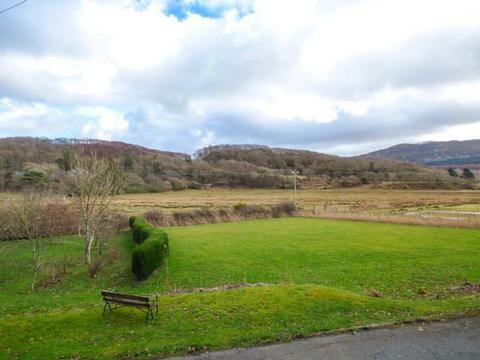 Gardd Ynys is a great base for exploring North Wales' beautiful coastline, with views of Cadder Idris and the Mawddach Estuary to be enjoyed! 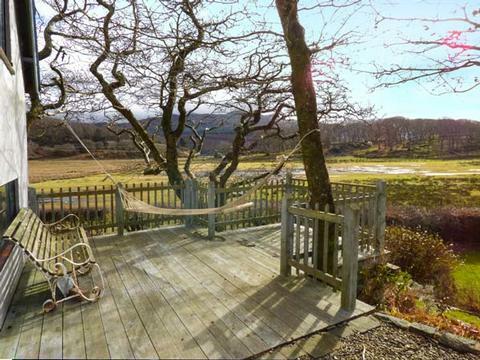 One of the most picturesque resorts on the Welsh coast, Barmouth is surrounded by the unrivalled splendour of the Snowdonia National Park. 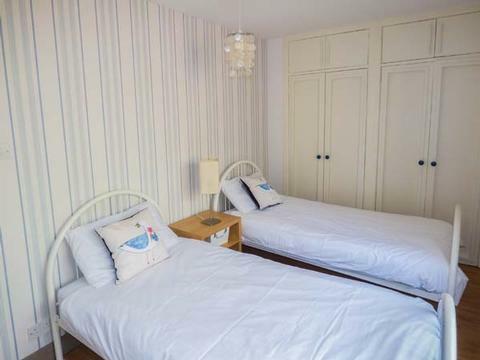 This traditional seaside town boasts an enormous sandy Blue Flag beach, perfect for families. 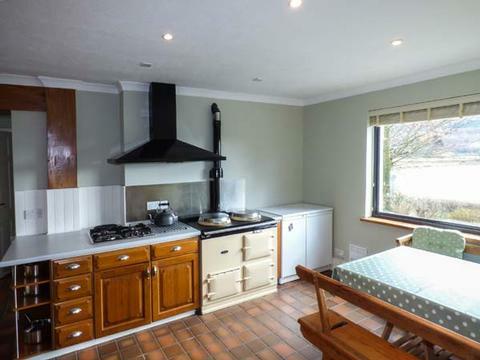 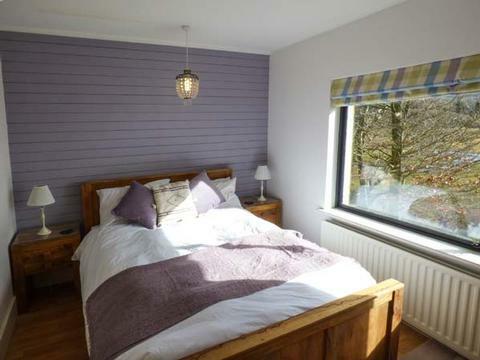 Contact Gardd Ynys Self Catering Cottage Barmouth Wales > for Enquiries and Availability.